PHUKET: The pregnant woman injured in the Patong bus crash on Sunday (Feb 25) is safe from harm and has been discharged from hospital, police have confirmed. In total, the bus rammed seven vehicles before being brought to a halt in the small residential sidestreet at the bottom of the hill. Patong Traffic Police Chief Lt Col Eakkarat Plaiduang noted that “brake failure” remains the likely cause of the accident. 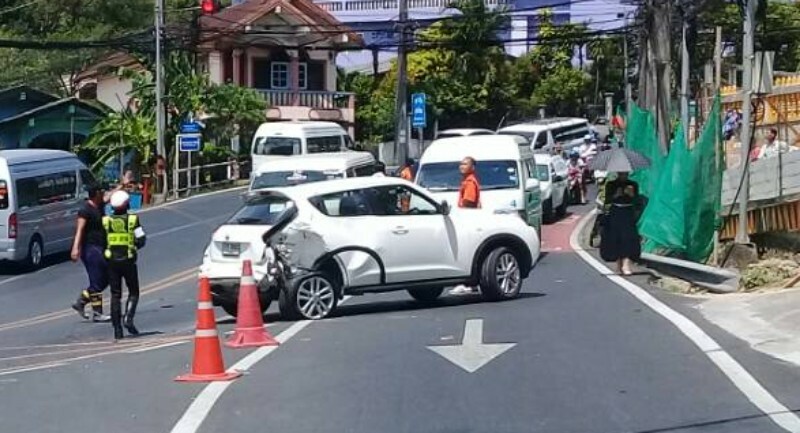 “However, we have to wait for the results of tests on the bus by the PLTO (Phuket Land Transportation Office) to see if the accident was caused by brake failure or not,” he told The Phuket News' sister publication Khao Phuket on Tuesday (Feb 28). “All people injured in the accident are safe and have been released back home. The tour bus driver has not been charged yet as we have to wait for result from the PLTO,” he repeated.